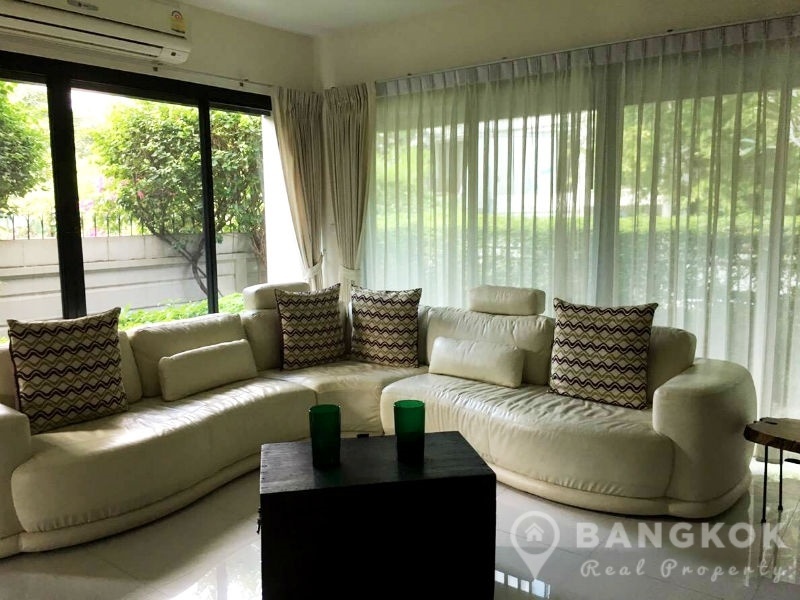 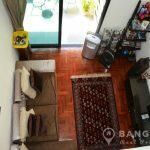 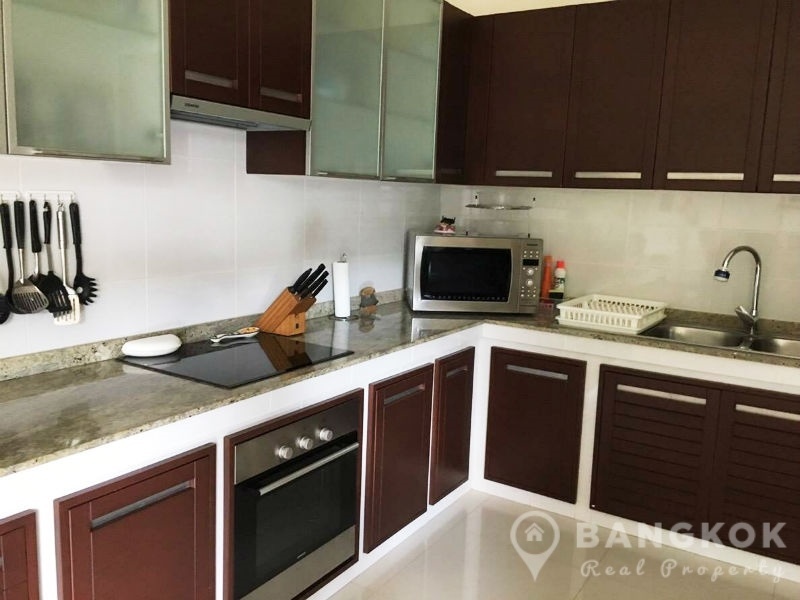 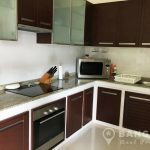 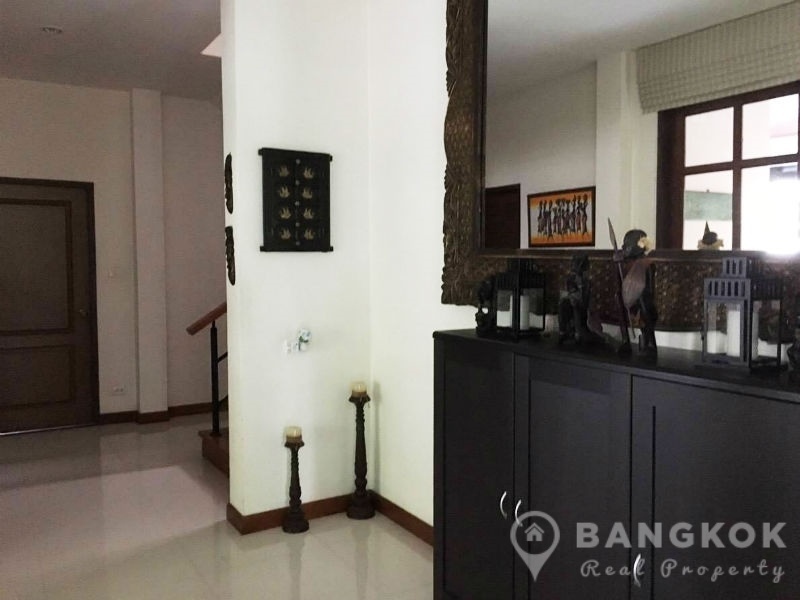 A spacious, detached, contemporary 4 bedroom, Phrom Phong House is now available to rent centrally located within walking distance of Phrom Phong BTS . 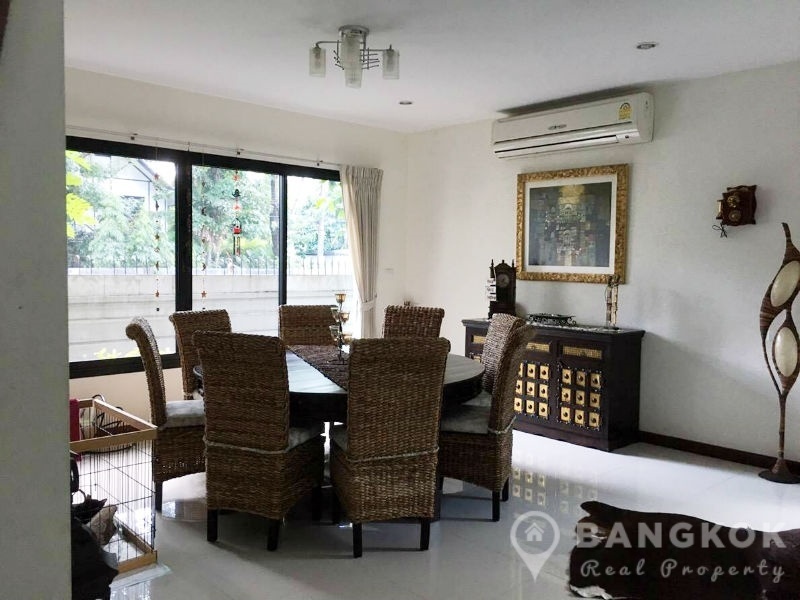 This modern house built in 2000 offers modern city living in the heart of the city with access to many local amenities including The EM District (EmQuartier + The Emporium), Villa Market, Terminal 21, K Village and Benjasiri Park. 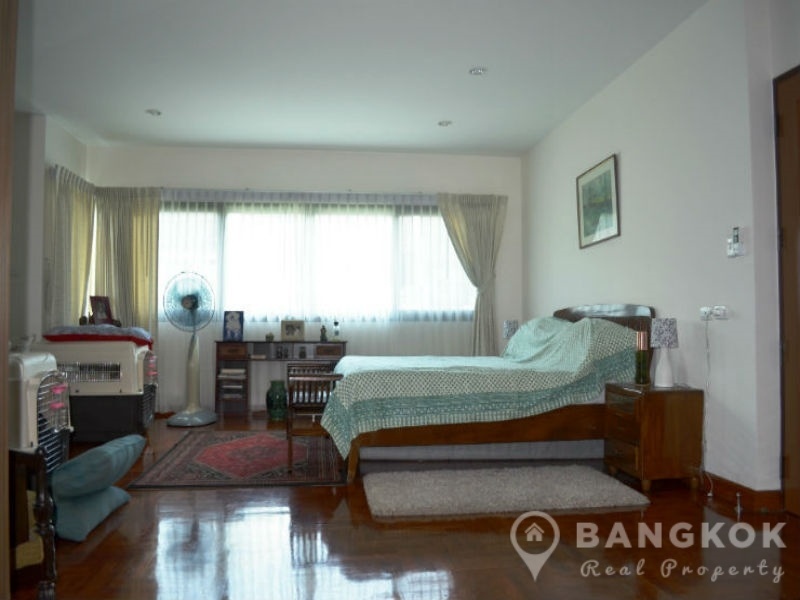 Also nearby are several great schools including Modern, NIST and The American School of Bangkok (City Campus). 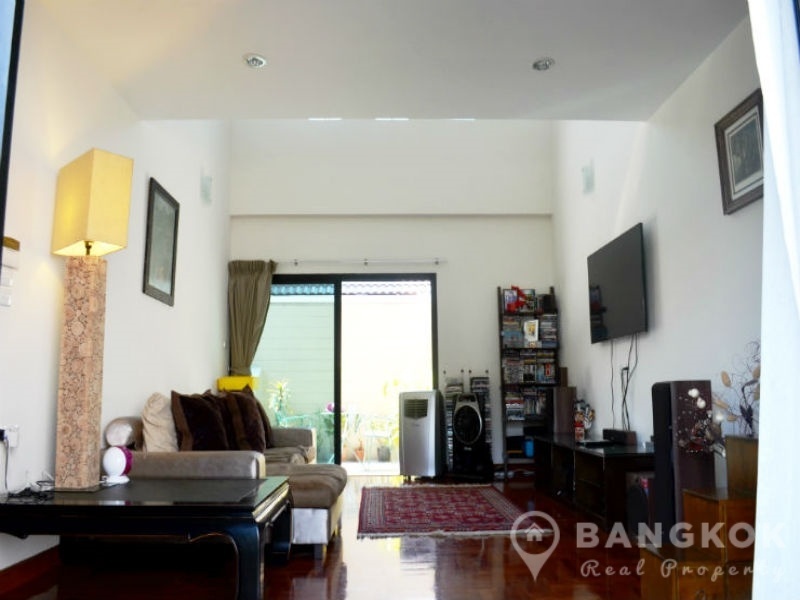 This Phrom Phong House is set over 3 floors has 4 double bedrooms, 4 modern bathrooms and 450 sq.m of living space. 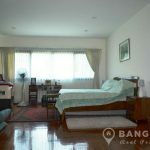 The bright and airy house is fully furnished, air conditioned and has ceramic tiled floor throughout the receptions rooms with wooden floors upstairs (in the bedrooms). 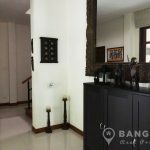 The house features 2 reception room (one double height), separate western kitchen with modern fitted units, built in ceramic electric hob & extractor fan, built in stainless steel electric oven, microwave and large fridge freezer. 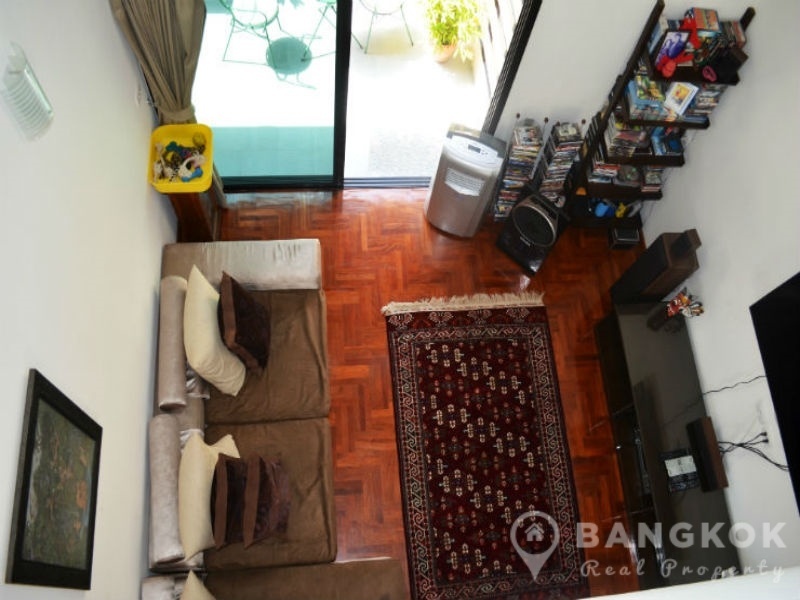 There is a storage / utility room with washing machine and 1 separate maids room and bathroom. 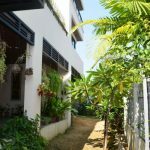 The house has small garden, large terrace / patio, master bedroom (ensuite) has a large balcony and there is off street parking for 2 cars. 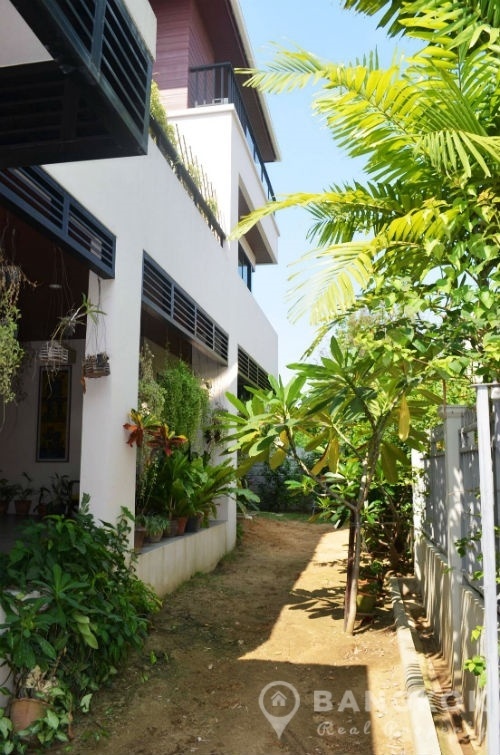 A modern, detached, stand alone family home, built in 2000 with 3 floors, 450 sq.m, 4 bedrooms, 4 bathrooms, 2 reception rooms, 1 maids room and separate western Kitchen, terrace, balcony and small garden with off street parking. 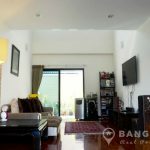 Walk to Phrom Phong BTS & EM District.